In a medium pot, sauté the onions in lard or vegetable oil over low heat, stirring frequently, until translucent. Do not let them burn. Salt lightly to help tenderize them. The onion should be cut into very, very small pieces. Add a small amount of water, if necessary, to prevent sticking to the pan. Remove the pot from the heat, add 1.5-2 tablespoons of sweet Hungarian paprika, stir well. Go by the color, if it is pale, rather orange than red, add a bit more paprika. Do not burn the paprika or it will become bitter. Half of the paprika onions will stay in this pot, the other half will be mixed with the minced pork. In a bowl combine the minced pork, egg, rice, garlic, half of the paprika onions, ground black pepper, and salt to taste. Flatten the cabbage leaves or remove the thick stalks from the center. Form 8 meatballs. Place 1 ball on each leaf, and roll it up firmly, folding the edges under. Rinse the sauerkraut under running water. Spread half the sauerkraut over the rest of the paprika-onion mixture and stir up. 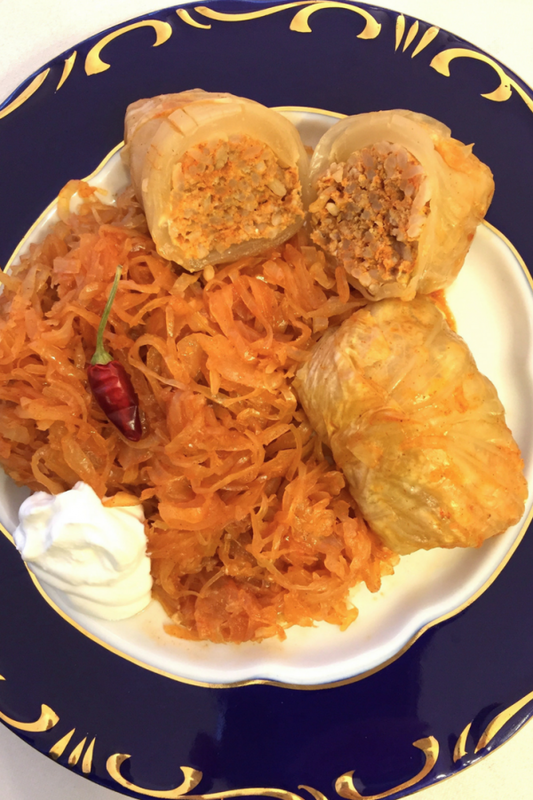 Add the bay leaf, sprinkle with 1 level tablespoon of flour and one 1 teaspoon of ground caraway seeds.Place the cabbage rolls on top and cover them with the remaining sauerkraut. Sprinkle with 1 teaspoon of sweet paprika powder, the 1 level tablespoon of flour and 1 teaspoon of ground caraway seeds. Pour water over (about 2 cups or a bit less). The water should not cover the sauerkraut, but when you press it with a wooden spoon, you should see the water. Cover and put it in the preheated oven (180°C/350F) and cook for about 2 hours. I join you and your friends in your home kitchen in private, one-to-one cooking classes - live via video call. 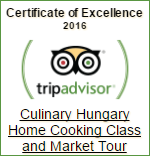 I will teach you how to cook Hungary's most iconic dishes with an insight into Hungarian life, culture and culinary traditions. I transport you to Hungary for the day. No flights required. 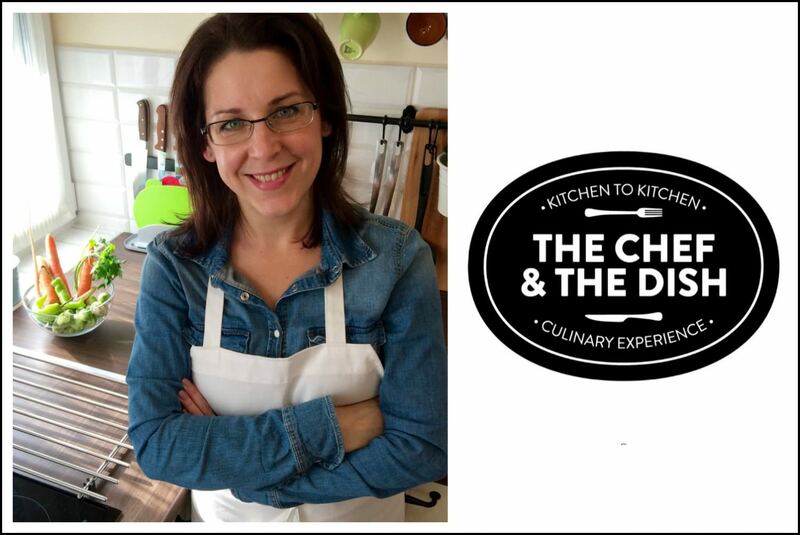 Online Cooking Classes are available at "THE CHEF & THE DISH"
Culinary Hungary’s intimate, home cooking classes allow you to learn to cook Hungarian in a relaxing environment. 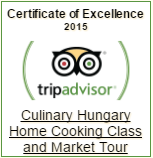 Add a market tour and you will end up with a one-of-a-kind, delicious Budapest experience.